Opinions expressed in this article are those of the author and may not reflect the views of WC&P or the Technical Review Committee. 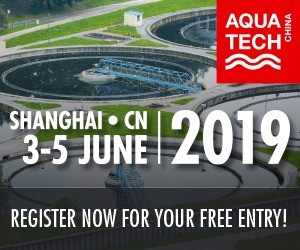 Shortages of fresh water and increased costs for makeup water, blowdown disposal and chemical treatment have created a need to increase the cycles of concentration (COC) in cooling tower systems, which decreases fresh water makeup, blowdown to sewer and chemical treatment costs. (Cycles of concentration is defined as the dissolved solids level of a cooling water divided by the dissolved solids level of the makeup water. It is the number of times the water in the cooling system has been concentrated by evaporation.) Unfortunately, increased COC also increases the concentration of hardness ions in the cooling water, making the cycled waters highly scale forming (see Figure 1). Formation of hardness scale in heat exchangers is unwanted, as even a small amount of scale will decrease the efficiency of heat transfer, resulting in increased power consumption for chiller operation and decreased productivity in industrial processes. In severe cases, scale can completely plug heat exchangers and piping. Many facilities, having hard water for makeup, have always confronted the problem of scale control. Hardness scale has been controlled via use of chemical inhibitors, with or without acid addition for pH adjustment. 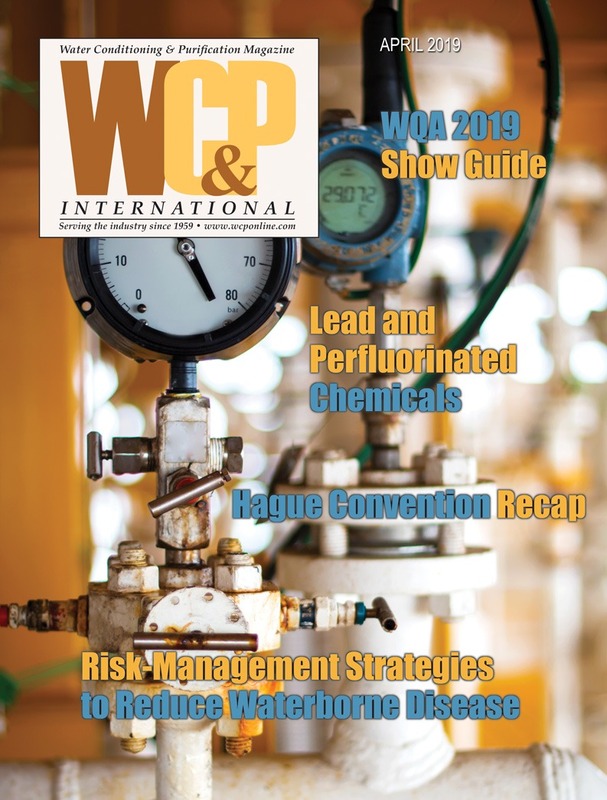 This technology is not always effective, can be extremely costly and acid use risks severe equipment damage due to corrosion, as well as presenting a safety hazard to operating personnel. With conventional, non-acid hard makeup water treatment technology, cooling towers can generally be operated at maximum COC values between two and four, based on the makeup water quality, due to scale formation if these values are exceeded. A proven technology, which addresses the need for increased COC while avoiding scale problems, is to soften the makeup water, removing the scale-forming ions prior to use. The manifold benefits of softened makeup water for cooling towers are discussed by Harfst1 in detail. Potential problems most often cited in opposition to use of this technology are the increased corrosivity of cycled softened water, cost of softening and brine disposal from regeneration of cation exchange water softeners. These three cited problems have been successfully addressed as shown in the following discussion. Softened makeup water has been used in cooling towers for over 10 years in a large number of HVAC and industrial facilities across the country. The benefits of this technology are immediately obvious to facilities that have suffered from the problems caused by scale formation in cooling systems or the corrosion damage resultant from upsets in acid-feed pH control systems. Use of softened water immediately eliminates the scale potential of the cooling water, rendering it non‑scale forming, while completely eliminating any further need for pH control via feed of corrosive, dangerous-to-handle acids. With elimination of the potential for scale formation, cooling towers can be operated at much higher COC (generally eight to 10)—limited mainly by the potential for deposition from solids in the cooling tower air intake. 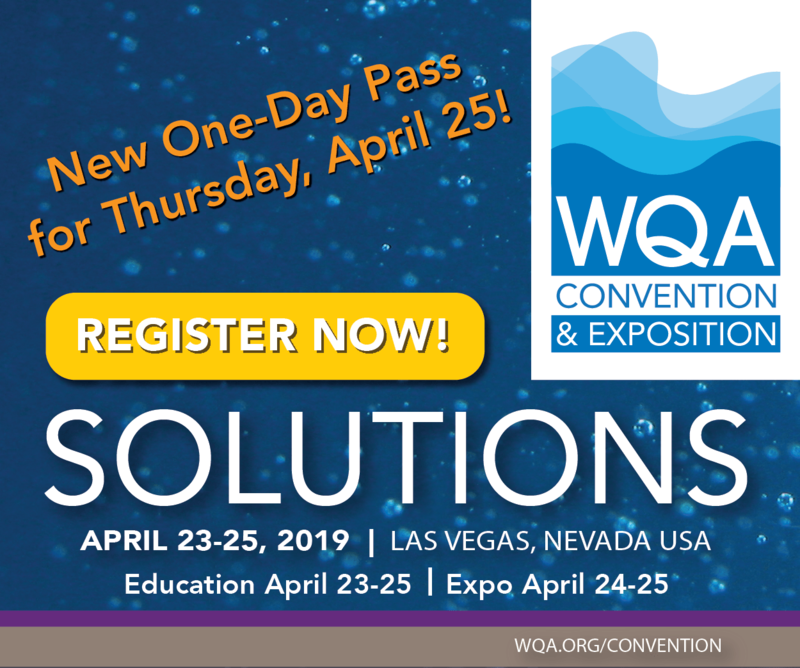 Water savings are substantial; using our previous example of a 1,000-ton thermal load cooling tower, operating at a COC of two, blowdown would be 9,690,750 gpy. Going to softened water makeup and operating at a COC of eight will reduce the blowdown to 1,384,393 gpy, a substantial reduction of 8,306,357 gpy of fresh water. Cycled soft water is much more corrosive than hard water as the levels of all corrosion-promoting constituents are increased by factors of two to 15+ times. In particular, higher levels of chloride and sulfate increase the corrosivity of the cooling water. The water management program, therefore, must provide superior corrosion-control chemistry. The cited patents disclose specific chemistry that controls corrosion of ferrous, galvanized, aluminum, zinc and yellow (wetted) metals in a soft-water environment. Cooling towers, using soft-water makeup and this chemical technology, routinely operate at steel corrosion rates below two mil/yr, often attaining rates between 0.25 and 0.5 mil/yr. Yellow-metal corrosion rates are below 0.2 mil/yr, often getting as low as 0.02 mil/yr. This is equal to or better performance than can be achieved using conventional scale and corrosion control technology with hard-water makeup. Concerning silicon content of the cooling water, silica actually becomes more soluble as the pH and temperature increase. Silica normally is not a concern in cooling waters until its level exceeds 175 mg/L.4,5 One patented treatment chemistry for use of softened makeup water utilizes silicate as a major component and has not had any silicate scale formation since usage started in 2007. ‘White rust’ is the result of accelerated corrosion of galvanized steel, due to chemical attack by high pH/high alkalinity waters (see Figure 3). 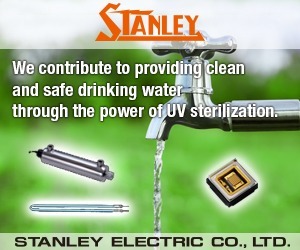 It is recognized as a major problem with high COC operation of cooling systems in any area with alkaline makeup waters. Softening hard water actually makes the problem worse; replacing hardness ions with sodium ions makes the water substantially more corrosive to zinc and its alloys. Simple consideration of the chemistry involved shows that replacing one calcium ion with two sodium ions increases the conductivity of softened water and thus its corrosivity. 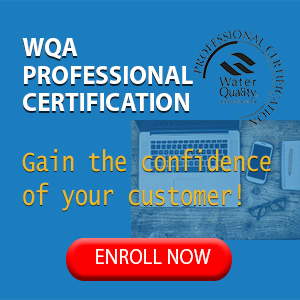 In addition, it is generally accepted in the chemical water treatment industry that calcium ions actually function to reduce corrosion while sodium ions increase corrosion. 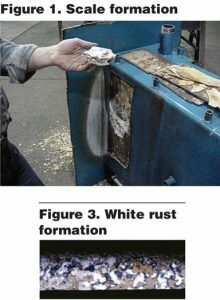 While many firms recommend use of pH control (keeping the cooling water pH below 8.2 by addition of acid) as the only means to control white rust, several organic-filming corrosion inhibitors have been developed and proven to provide excellent control of white rust at elevated pH levels. Thus acid pH control is not needed with use of softened water makeup and appropriate corrosion-inhibitor chemistry. Again, using our 1,000-ton annual thermal load, operating costs will be evaluated with water analysis data from an operating cooling tower in the fifth largest city in the country, Phoenix, AZ. 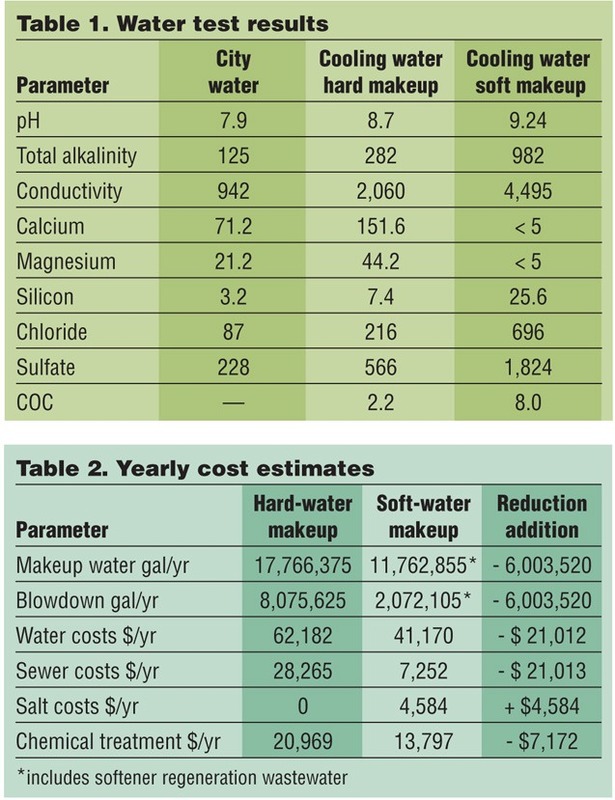 Table 1 shows makeup water/cooling water being treated with a standard phosphonate-polymer treatment and the projected cooling water composition with softened makeup water in use. For the cost analysis, city water and sewer charges are each at $3.50/1,000 gallons; salt is priced at $0.08/lb; hard-water chemistry at $2.80/lb; soft-water chemistry at $2.70/lb and biocide at $2.15/lb. Using generally accepted calculation methods, the results in Table 2 are easily generated. It is quite clear from this table that operation of a 1,000-ton annual thermal-load cooling tower on softened makeup water provides a substantial annual cost reduction of $44,613. 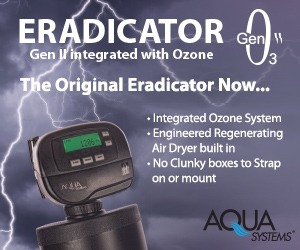 An appropriate-sized, dual-tank cation exchange water softener has a retail cost of about $19,000, with an installation cost less than $10,000, for an installed cost of $29,000. The payback for converting to softened makeup water for our example 1,000-ton thermal load is less than one year. Several areas of the country are now restricting the discharge of regeneration brine wastewater from cation exchange water softeners. In response to this new challenge, several technologies are available to provide softened makeup water with no brine discharge. Nanofiltration is a membrane process related to reverse osmosis that preferentially rejects multivalent salts such as calcium and magnesium. 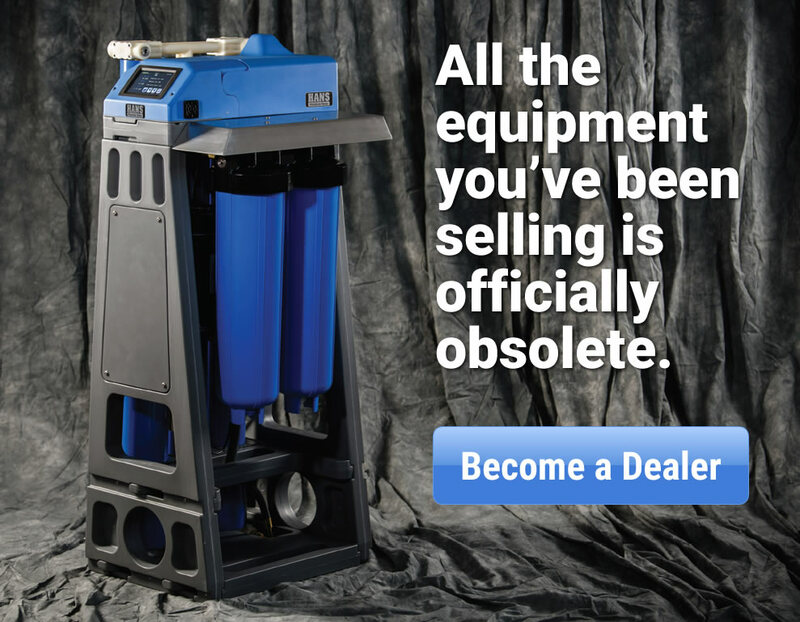 The concentrate from a nanofilter unit, however, may present a disposal problem in that it has an elevated level of dissolved solids (which, however, is substantially less than wastewater from softener regeneration). Recycle-water softener is a standard water softener equipped with a subsystem to capture the regeneration wastewater brine and chemically precipitate the hardness ions so that the brine can be recycled. The precipitated hardness ions are then de-watered and disposed of as a solid waste. Such a unit can be operated with no discharge of wastewater containing a high level of dissolved solids. Chemical precipitation has been practiced as soda-lime softening for many years as a means of softening very large volumes of water. 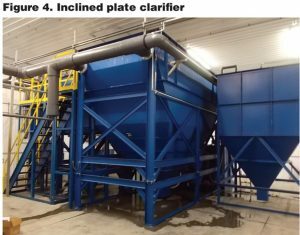 Recent development of soda-caustic precipitation combined with inclined-plate clarifier technology has made this method of producing softened water practical for smaller (down to 10 gpm) installations. Such installations would dewater the precipitated hardness ions, which would be disposed of as a solid waste. There is no discharge of any wastewater from an inclined-plate clarifier equipped with a filter press (see Figure 4). Recent testing for the presence of Legionella bacteria in several cooling systems operating with softened water have resulted in none-detected reports. These results prompted review of the scientific literature and discovery of a published report,6 which clearly shows that multiplication of Legionella bacteria in cooling-tower water is inversely correlated with increases in pH and alkalinity. Given the reported pH tolerance range for Legionella bacteria of 5.5 to 9.2, operation of cooling towers with cooling water pH values above 9.2 and high alkalinity is a means for controlling Legionella bacteria in cooling towers. The Harfst paper notes that higher pH and alkalinity values not only curtail growth of Legionella bacteria, but also have an adverse effect on other microorganisms. 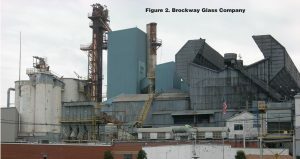 Some additional comments on the control of microorganisms are also found in an article7 where it is theorized that high pH and alkalinity, combined with the high dissolved solids typically found in cooling towers operating with softened makeup water, is biostatic to all microorganisms. Cooling towers operated at COC of eight and above with softened makeup water, typically obtain cooling water pH values of 9.2 to 10.0 with high alkalinity and dissolved solids. 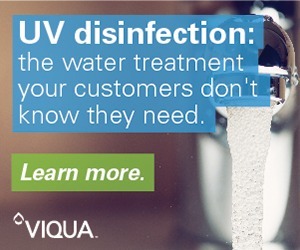 These conditions have an adverse effect on microorganisms, including Legionella bacteria. 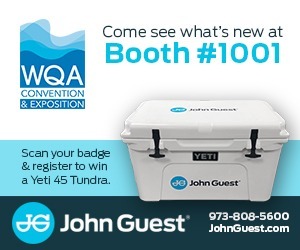 This documented effect reduces the amount of biocide required for microorganism control and the potential for a Legionnaires’ disease outbreak. While operation with softened makeup at COC of eight and above minimizes the need for biocides, best practice suggests that a biocide be utilized to ensure complete control. We have found that a single oxidizing biocide is sufficient to establish excellent control of microorganisms in most cooling tower systems. With cycled soft water generally being high pH, the oxidizing biocides of choice are chlorine dioxide and bromine, both of which can be produced onsite to minimize the hazards of handling toxic biocides. Harfst, William. 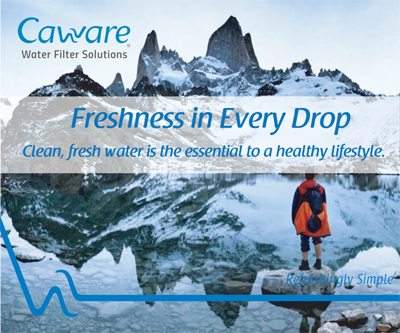 Benefits of Soft Water Makeup for Cooling Tower Operation. 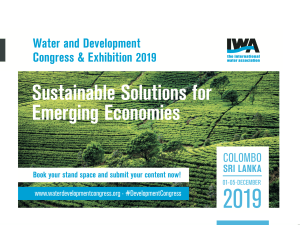 International Water Conference Paper, 07-01, 2007. US patents 7,595,000 and 8,128,841. Iler, Ralph K. “Chemistry of Silica.” Wiley-Interscience, 1979, p. 42. Drew Chemical Corporation. Principals of Industrial Water Treatment, Eleventh Edition. 1978. States et. al. “An Alkaline Approach to Treating Cooling Towers for Control of Legionella Pneumophila.”Applied and Environmental Microbiology, August 1987, p. 1775-1779. Rahimian-Pour and Anderson. “Legionella Outbreak Prevention for Cooling Towers.” The Analyst, Vol. 23, No. 3, Summer 2016. 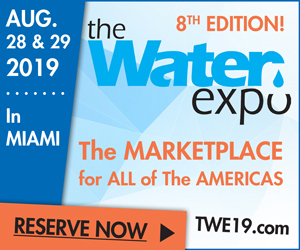 Timothy Keister, CWT, is Chief Chemist/President of ProChemTech International, Inc. His primary responsibilities include formulation and performance evaluation of boiler, cooling and wastewater treatment chemical products. Keister is responsible for approximately 500 specific water treatment products. 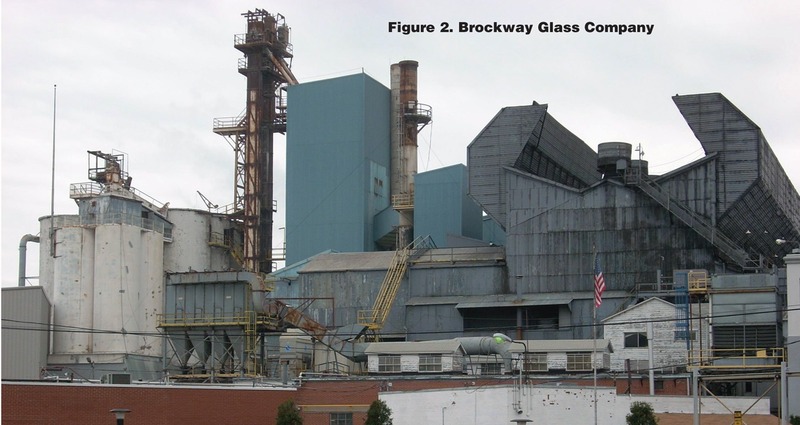 Previously, he was President and Laboratory Director of Brockway Analytical, Inc., of which he was also a co-founder, and Water/Wastewater Manager at Brockway Glass Company. Keister maintains active participation in the Association of Water Technologies, technical and certification committees and writes case history reports, technical papers and articles on developed technologies. He is an Elected Fellow (FAIC) of the American Institute of Chemists; a senior member of the American Institute of Chemical Engineers, as well as being a member of the Water Environment Federation, American Chemical Society and American Society of Heating, Refrigerating and Air Conditioning Engineers. Keister holds a Bachelor of Science Degree in ceramic science from Pennsylvania State University and post-graduate credit in marketing, business management, business law and water pollution control. He can be reached via email tek@prochemtech.com or phone (814) 265-0959. ProChemTech International, Inc. provides boiler, cooling, process, water and wastewater management programs; consults and designs water and wastewater treatment, reuse and recycling; manufactures cooling water and wastewater treatment equipment/systems and manufactures boiler, cooling and wastewater treatment chemicals.